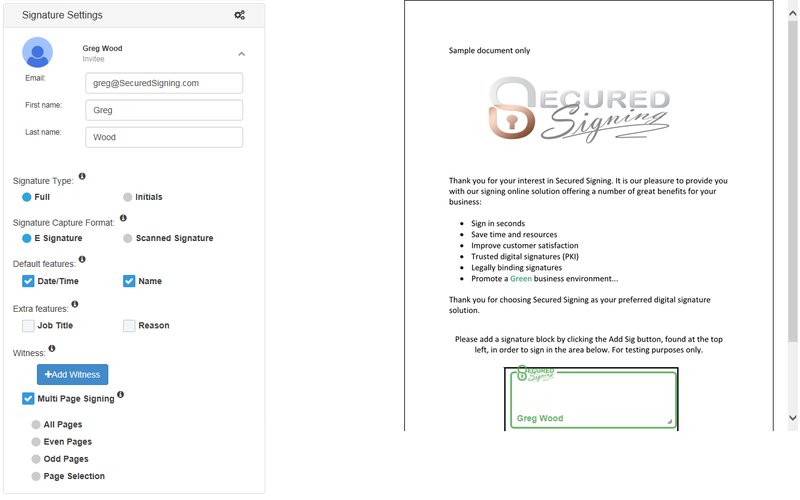 Navigate to www.securedsigning.com and click the Secured Sign In tab on the top-right of the page. 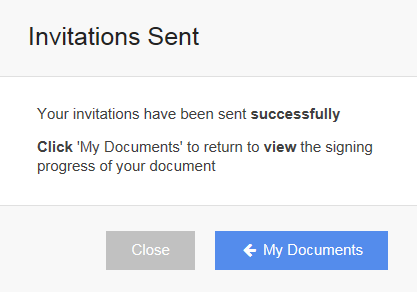 Click Invite on the document you wish to invite people to sign (My Documents Inbox). You will be taken straight to the Console and begin the We Sign process. 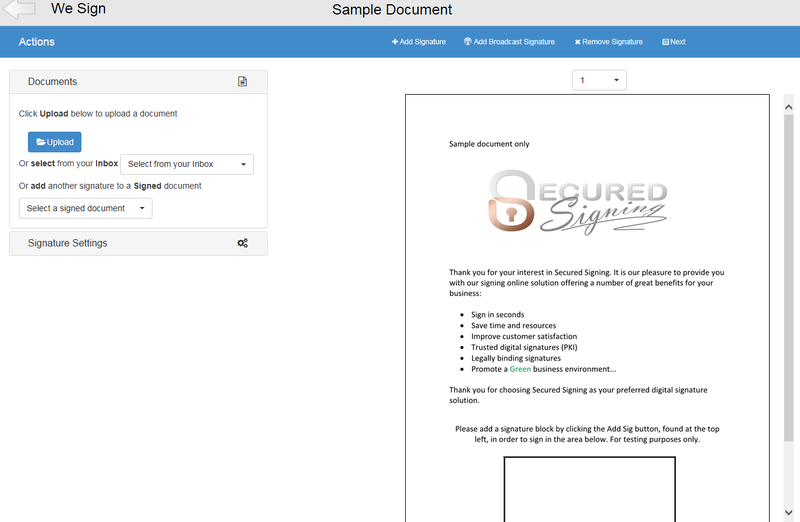 The console shows a preview of your document and allows you to place signature blocks in an easy-to-use design environment. In the signature blocks can be for Invitees or Witnesses of the signing. Tip: You can navigate within your document by clicking the thumbnail-preview pages to the right or select a page from the page drop-down menu on the left. Select between a full-signature or initials. Selecting Initials is much like initialing a paper document. When you set up your graphical signature you must provide both a full signature and your initials. 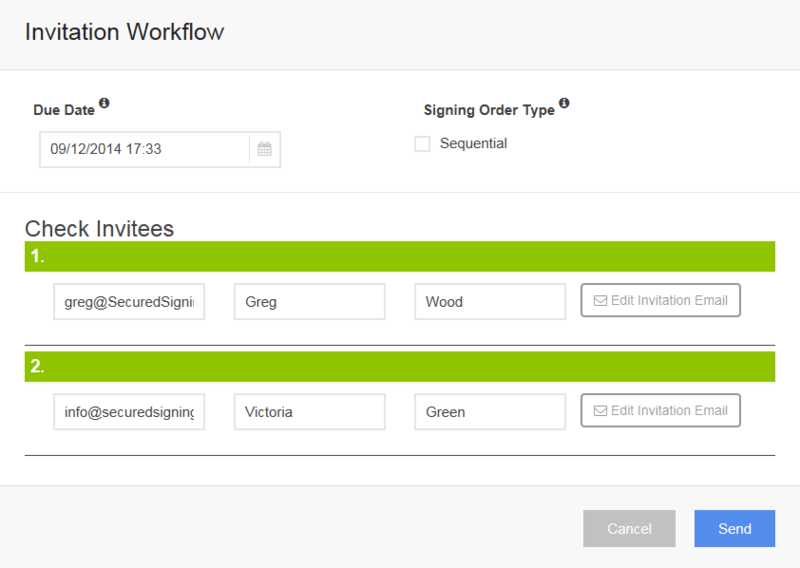 To specify a signing order select the "sequential" radio button and use the arrows on the left of the invitee list to move invites between first and last positions. Click Edit to change Invitee details, Click Modify/View to view the email message or create your own. 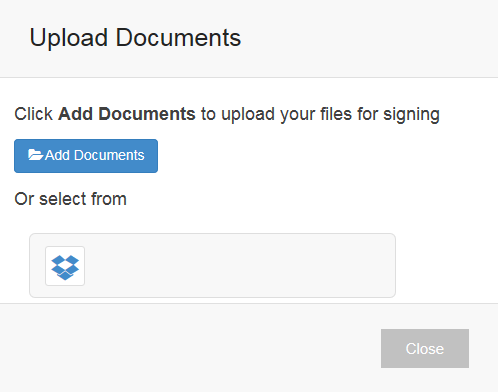 Your document now appears in your "In Progress" folder on the My Documents page so you can view who has signed, and who is yet to sign. When all Invitees have signed you will be sent a confirmation email and the document will be moved to your Signed Folder.